Did you finish all your strips in the last week? I know, ha, ha, very funny. So, if need be, please come back when you are ready to join and edge. 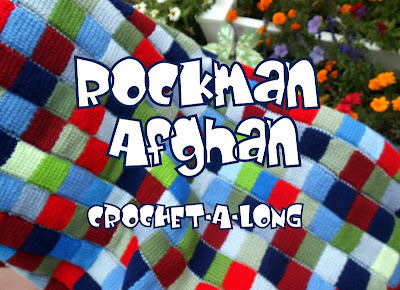 Meanwhile, here's the joining and edging tutorial for the Rockman Afghan. It's a single crochet to join. It's easy to match up the colors because the blocks are all in 7 rows. however, I think that mixing up the colors would be fun, as well. Please note that I had snipped the ends that were weaved in with the color change row, but I recommend that these ends remain and are crocheted into this joining single crochet row, as well. Semi-weaved-in ends hanging out . Weave them in while joining. Ends up looking pretty good. The front side is good too. ...three single crochet in the same stitch in the corners. 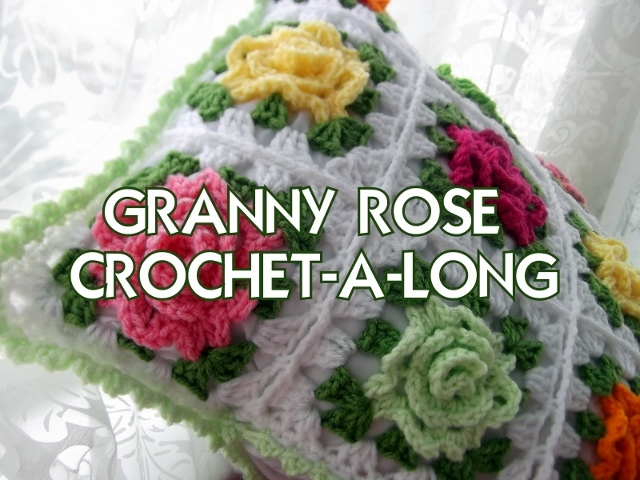 three double crochets in each corner. 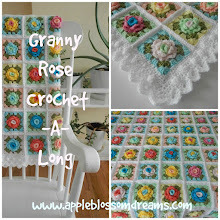 I would love to show off your projects that you make with this pattern.